ErgotronHome brings added purpose to any work area and the activities that make up home life. Meeting everyday functional needs with products that also improve wellness is our passion. Make spaces work for you! With a fresh approach to design, ErgotronHome enables a work style in motion. Workspace™ : Elevate your outlook and your worksurface. 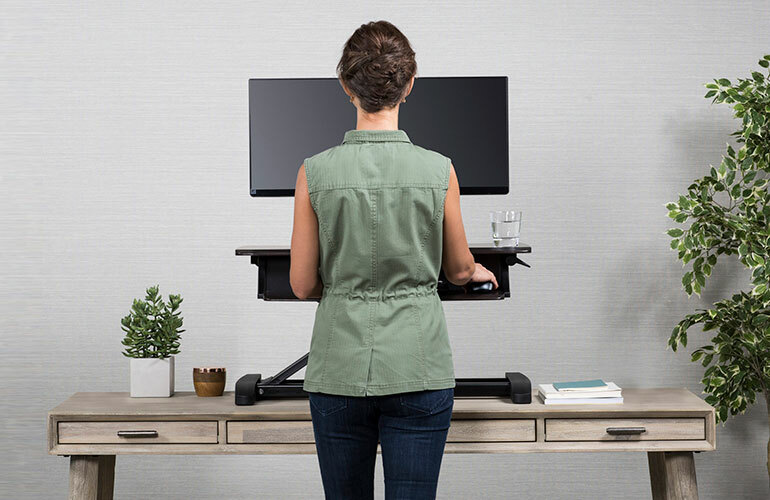 ErgotronHome enables a work style in motion, redefining the way you interact with your digital life. Keep yourself moving while staying organized. Purpose : Computing doesn’t have to be sedentary. Put your well-being first. For work or play, ErgotronHome products are an easy way to sit less and move more for health and vitality. 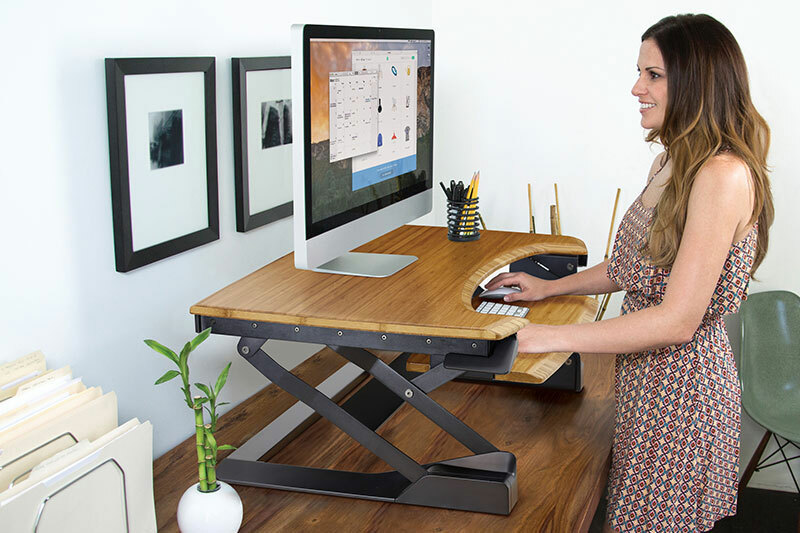 The Lift101 turns a current worksurface into a height-adjustable standing desk with one simple movement. It provides easy adjustment between sitting and standing, space for smart devices and a styled finish that complements your existing home décor. Together with a cable-free worksurface and comfortable keyboard tray, the Lift101 is essential for incorporating movement into your day. 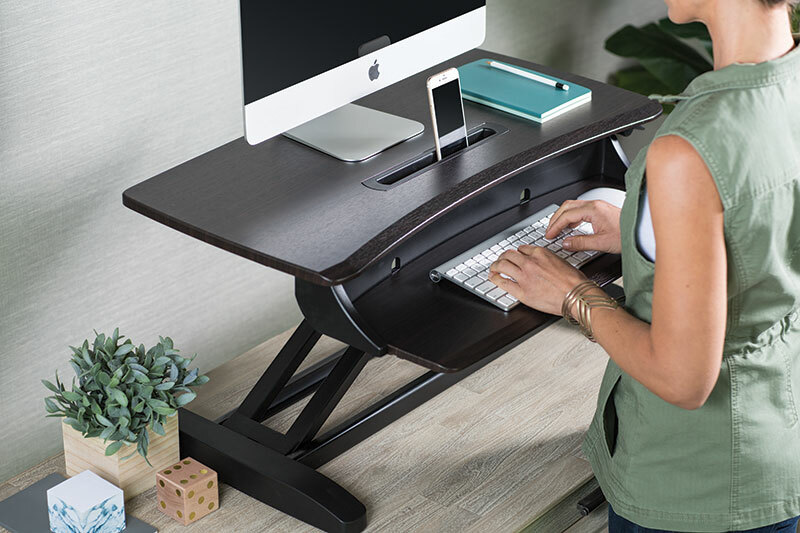 The Workspace Lift35 converts any surface into a flexible sit-stand desk, giving you the proven health benefits of movement. From the moment it’s unpacked you’re ready for action: simply release the desk’s hand-brake levers to instantly stand up or sit down as you work. 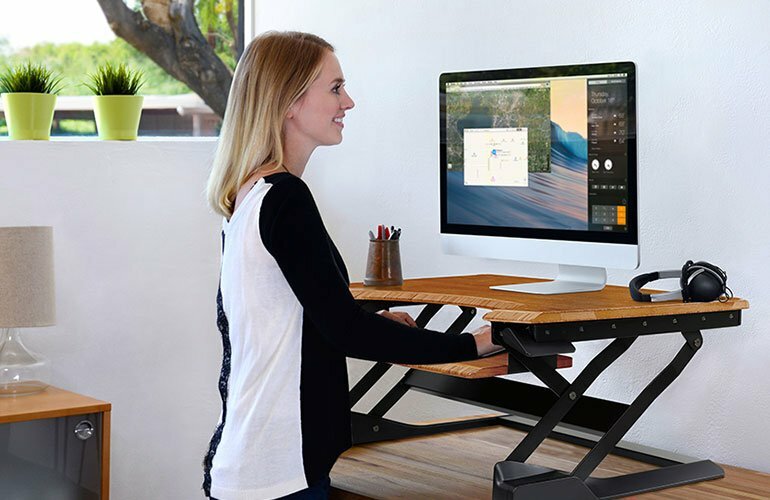 The Workspace Desk35 is an adjustable-height sit-stand desk that provides users a more active computing experience, instantly giving you the health and productivity benefits of movement. From the moment it gets unpacked it’s ready for action – with no installation hardware or adjustments, and definitively no hassle. 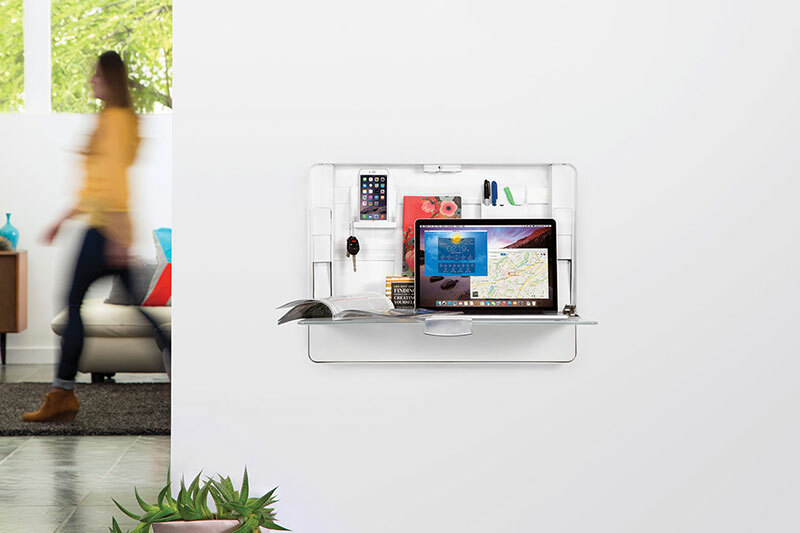 The Workspace Hub27 is a slim cabinet with a channel to plug in & charge all your devices—laptops, phones or tablets. 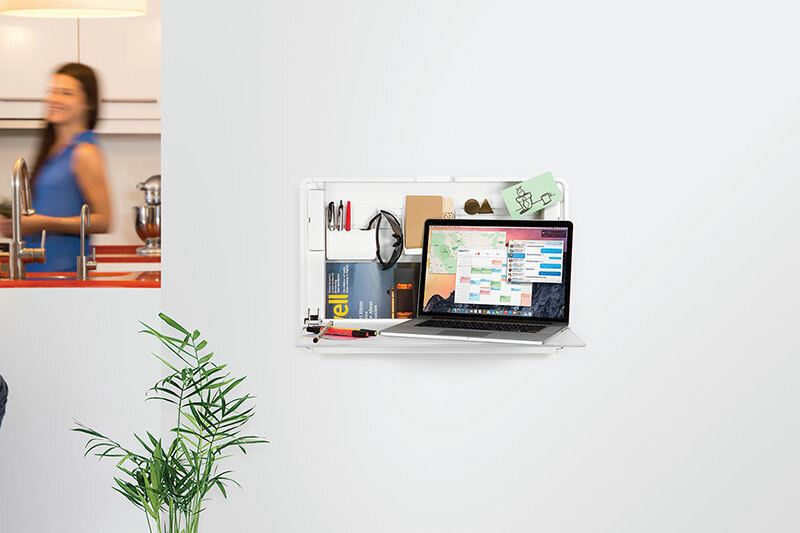 A true space-saver, this organizer also doubles as a wall-mounted standing desk: just flip its door down to create a handy worksurface. Sort mail, make notes or do some computing, then close it up to conceal its contents. Hub27 boasts an adjustable-height worksurface and key-lock security while providing room for extra devices. The Workspace Hub24 is a slim cabinet with a channel to plug in & charge all your devices—laptops, phones or tablets. A true space-saver, this organizer also doubles as a wall-mounted standing desk: just flip its door down to create a handy worksurface. Sort mail, make notes or do some computing, then close it up to conceal its contents. Hub24 offers a more compact form factor, making it the right choice for space-constrained areas. 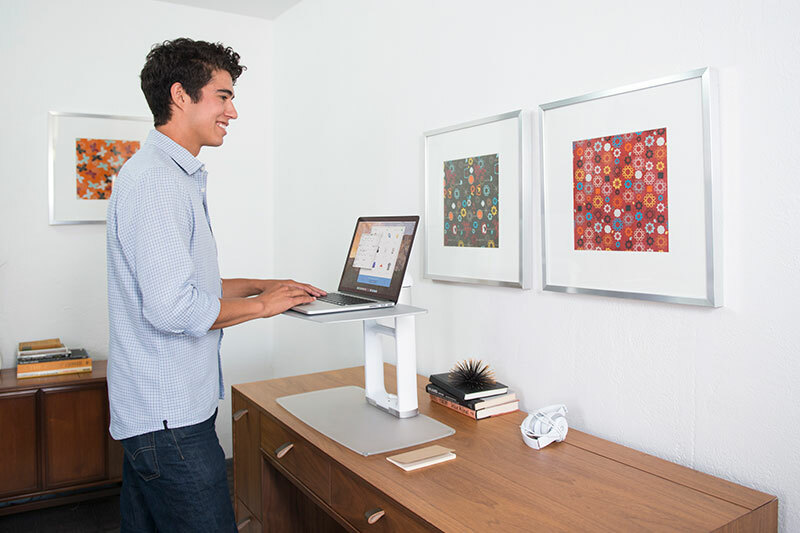 The Workspace Lift24 is an adjustable-height laptop stand that converts any surface into a standing desk. Want to sit? No problem! Just detach the tray to bring with you to your favorite chair where it can rest on your lap, providing extra space for a mouse, touch pad or notebook.